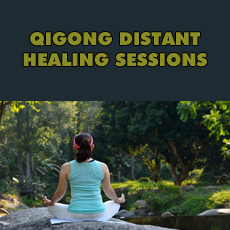 Qigong distant healing has a very long history of improving health physically, mentally, and emotionally. Until recently, the traditional method for this was for the healer to focus their healing intent toward the intended receiver using a picture of them. With the recent advent of video conferencing programs like Skype, this process has greatly evolved. The fee for a single session is $105. If you register for two sessions, the fee is $190 ($95/session). If you register for three sessions, the fee is $255 – only $85 per session. There is no time limit on using up the sessions and family members can share sessions bought with the group discount. 24 hours notice to receive full refund or reschedule, sorry, no exceptions. If you decide to cancel purchased sessions and have used a portion of a group purchase, then you will be refunded any remainder of the unused credit at the rate for the actual number of sessions you have used. For example, if you purchased three sessions for $255 but only use one (valued at $105), then you would be refunded $150. Or, if you purchase two sessions for $190 and used only one (valued at $105), then you would be refunded $85.